February 29, 2020. Anchorage. Knifehead. Category III. This is the beast that took down the Gipsy Danger. This is the Kaiju that demonstrated that they were learning our defenses. This was the battle of the beginning of the end for the Jaeger program. And it is magnificent. 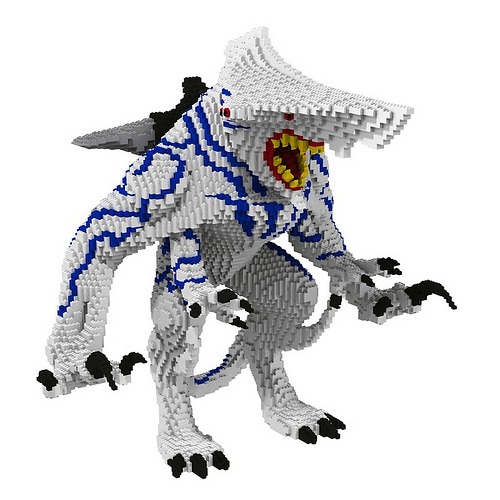 OliveSeon brings us this brilliant brick-built beast from Pacific Rim, in all its glory. I can’t wait to see what else she has planned!